I’m going to start this off by saying that I’m a big fan of Zowie gaming mice in general, mainly because their mouse models perfectly fits my hand. Therefore, of course, most of my gaming mice have actually been from Zowie. 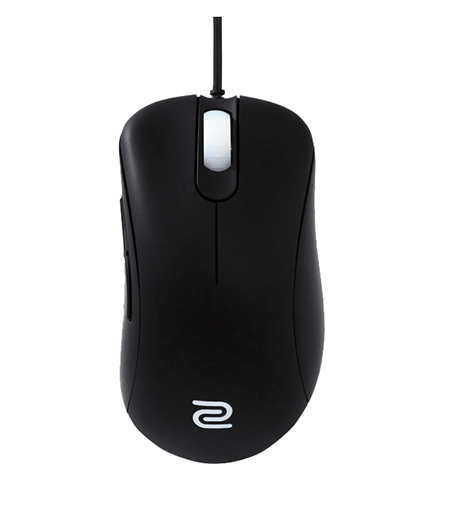 That said, the Zowie Gear’s EC1-A, basically a new and improved EC1, did manage to change my opinion slightly with its clever corner cutting to keep prices reasonable while retaining adequate gaming-level performance and features. The first thing I noticed when I picked up this mouse was its reliably solid build and lack of audibly moving parts, usually the hallmark of a cheap build. 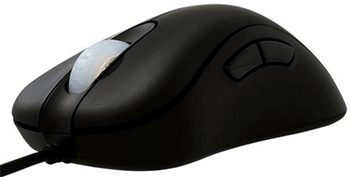 The EC1-A is a light but sturdy right-hand design mouse with 5 programmable buttons. It’s a driverless, plug-n-play mouse so you’re good to go on any machine without any hassle (perfect for LAN parties). Lack of a dedicated driver means a lack of the accompanying software, but I’ve never been a huge fan of that gimmick anyway. How many people actually tweak their settings after the initial set-up? 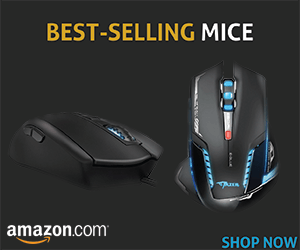 Also see our complete list of Best Selling Mice of 2016. The Zowie EC1-A has a brand new coating, addressing complaints received about its older sibling, the EC1, which I personally disliked as well. The coating provides for great grip and handles sweaty palms like a champ. We’ve really got to hand it to Zowie for taking user feedback seriously and releasing an updated product that isn’t just the same product with a different lighting scheme. It’s got a big 24-step scroll wheel that gives great tactile feedback. I always test the scrolling accuracy (quick direction changes, small step scrolling), and I’m really satisfied with the EC1-A’s performance in this regard. Both side buttons are on the left and seem durable enough to me. A big problem, though, is how frustratingly they’re activated, so I guess you really can’t have it all when shopping in the bargain bin. Such delicate thumb buttons can be a real pain. The technical specs on this mouse aren’t incredible by any means, but adequate for the average serious gamer. There are 4 DPI settings (400, 800, 1600 and 3200), toggled by an underside button. I’ve never been able to see significant differences beyond 800 DPI, so I’m not too concerned with the lack of options or range. The A3310 sensor is top notch and performed really well in our Enotus benchmark tests. It really reinforces the notion that Zowie knows when and where not to make compromises on quality when cutting costs. I played a couple death matches on CS:GO with the EC1-A and I can hardly find any fault with it (aside from those annoying side buttons). When it came down to it, the EC1-A was really impressive in action: easy to move, solid accuracy, and a comfortable hold. All in all, the EC1-A is one of the best gaming mice for a budget build. It’s the perfect mouse for no-nonsense types like myself who don’t buy into silly gimmicks like ridiculously high DPI options or advanced lighting options. There is room for improvement, and there are one or two things that could have been added without any cost increase (that were perhaps left out to preserve the added value of Zowie’s more expensive offerings). However, if you’re looking for good quality and value for your dollar, look no further.